•	Safa is a genuinely warm school that is hugely successful in the majority of its educational provision. •	The new Head, in particular, has steered the school through significant growth, but also focused investment in building parental relationships, particularly through the school Board and enhanced communication, and driving higher standards in Special Educational Needs [SEN] provision. •	Weaknesses in Arabic education and language provision, the traditional Achilles heel of British schools is being addressed through significant investment in SEN and teacher support. In this, your school, you will discover the confidence to explore the strength of your imagination and, sometimes, even the power to overwhelm. You will come to enjoy the surprise of inspirational achievement and the experience of sharing it together. You will learn to expect standards of yourself you didn’t think you could reach. Everyone will expect the best from everyone else. You will understand more the uniqueness of you and each person’s special place in our community and the wider world. When the time comes for you to leave, our aim is that you will take with you the memory of a remarkable journey – and a determination to go on to be the very best that you can be. Established in 2004, Safa British School is an English National Curriculum school following The Early Years Foundation Stage (EYFS) Framework for Foundation Stage learning (FS1 and FS2). 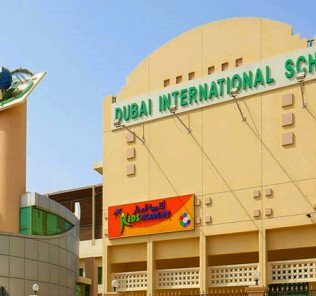 The school is designed ground-up as a dedicated Primary and will be attractive for parents not convinced by the increasing move to all-through schools in the UAE which, it is argued, risk losing childhood within large schools inevitably much more focused on older children and the endless drive to achievement in later examinations. 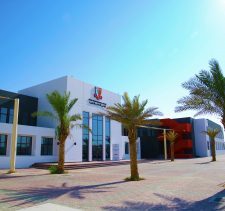 Located in Al Meydan Street (the school relocated in September 2012) the school was historically also known as the Al Safa Private School. Originally established with just 200 children, today Safa British School is attended by around 800 children in 41 classes offering Kindergarten and Primary education to students between the ages of three and 11 years. Safa British School is fully British Schools Overseas accredited and run with the direct engagement of its owners who care passionately about education and are driven much more by their values of giving back as educationalists than the big business drivers and pressures of many alternative, much larger, school groups. 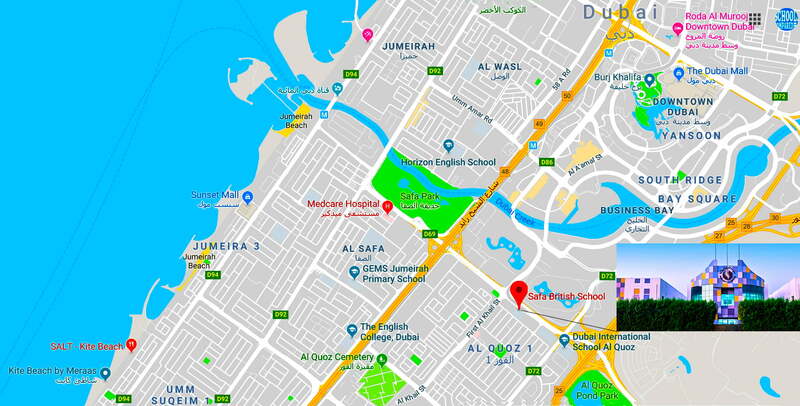 Safa offers automatic transfer from Year 6 to its in our view outstanding, and heavily over-subscribed, sister slipstream, Safa Community School, local in Al Barsha. 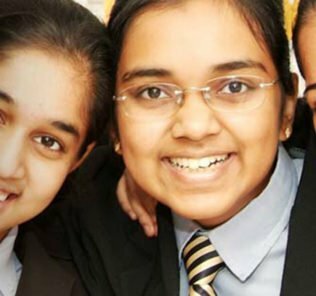 Together, the schools ensure continuity of their English National Curriculum based education to GCE O’ and later A’ Level. 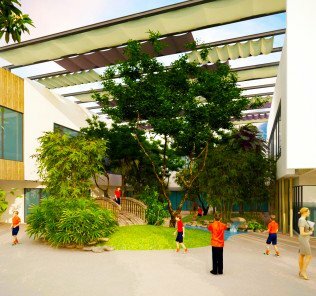 It is worth noting that Safa Community School secured the SchoolsCompared.com 2019 Award for Best New School in the United Arab Emirates against exceptionally strong competition. In total 49 different nationalities are represented at the school. 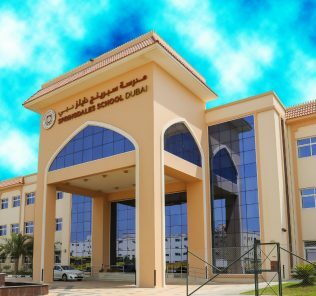 The school is commended as a “Good” school by the KHDA, with Very Good and Outstanding features, a standard it has maintained consistently for some six years, including this year (2019). Safa British School sits comfortably within the “Good School” class which is the minimum (but high) standard of quality school provision expected by the KHDA of all schools in the Emirate. 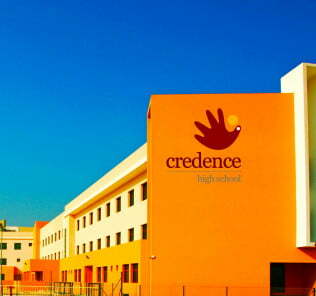 It is fair to say, however, that this is a school that, given its ownership and sister school, we expect to be achieving at least at the higher “Very Good” school level of KHDA achievement and much is expected of the school’s new Principal to address the clear potential of Safa British School to “up its game” still further. The core area that needs better focus is Arabic subjects (including language) – a traditional problem for Uk and international schools. The school has a teacher to student ratio of 1:20 with an average 24 children in a class and between 3 and 7 parallel classes per year group. Teachers are predominantly British and mostly recruited from the UK. From our independent discussions with teachers we know that both Safa schools invest significantly in teachers, both professionally and personally. The school has had a high level of teacher turnover for a number of years and it is fair to say that this has followed a number of changes of principal and the owners’ drive to get the highest quality faculty for children. Inevitably this takes time. We were very impressed with the new school Principal, Zara Harrington, and it is telling that in our discussion she identified that the school’s resources were some of the best she had seen within any school in her career – but had historically been considerably under-leveraged. There is considerable change afoot – and for the better. Safa has, in general, very good facilities, including a (pretty) shaded 25M pool, a smaller square training pool, sports grounds, music and ICT rooms and good PE facilities. 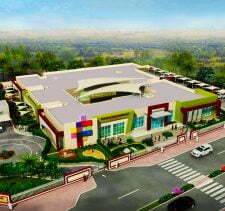 The school is colourful in its design, spacious, bright and genuinely friendly. The outside area at the school is fairly bijou by Tier 1 standards, but is of a good standard and sufficient. It includes a climbing frame outside which is allocated on a rota basis from Year 1 – Year 6. A fairly typical range of sporting activities and squads are on offer including swimming, netball, football, basketball and Cricket. The Sports Hall is multi-purpose, including Auditorium seating enabling swift conversion to provide a theatre and assembly space. The Library space for the main school is creative and well designed and currently has around 7000 books. There is also a dance studio – ballet and dance are both taught from FS phases. Broader provision for STEAM is very much in evidence and the Design and Technology [DT]/Engineering space benefits from a 3D printer which had produced some fabulous models of the Burj Khalifa and other notable landmarks in Dubai. ECA’s run to between 30-35 choices and the clubs are thoughtful, with clear briefs to extend children’s knowledge and skills for improving performance in core subjects. Children with SEND are able to draw on expertise including OT, Educational Therapy as well as an in-house Psychologist. A good example of the drive for inclusiveness within the school is no better evidenced than in main hallway of the Administration offices leading to the classrooms. These are now treated as a gallery and showcase for the children’s work and the intention is to have examples of attainment of every child in the school individually at some point in the year – the standard of work we noted was high, and in some cases outstanding. 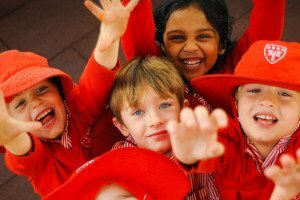 Another stand out feature of the school is in its focus on the bigger picture of whole child development over and above academics. In this area the school has been justifiably, we think, awarded “Outstanding” by the Dubai Schools Inspectorate. There is a palpable focus on the children taking ownership and responsibility for all aspects of school, keeping areas tidy and organising themselves efficiently. One particularly inspiring example of this focus on children, in this broader context, is the new “Vacancies Board”, which advertises positions for children within the school, including Headships, Prefects and Monitors. Each includes a clear job description explaining the responsibilities and role. The procedure for appointment mirrors that of the ‘real world’ where applicants submit their CV and are then called for interview. Should they choose to resign the post they have to do so in writing and work a months notice (not that anyone has to date!). 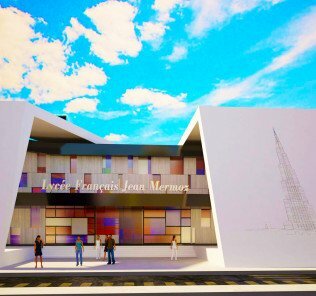 This, amongst a plethora of other initiatives, may represent a small shift in the approach from the school but it is hugely impressive in its impacts – and more importantly, has inspired the children. Core academics are kindly taught with a strategy that ensures each child is given individual attention. This is not a hot house school. For parents seeking academic attainment at all cost, there are certainly better schools. However, the approach at Safa is a balanced one. We believe that, for parents who believe that a child’s happiness and being inspired with a genuine love of learning rather than its being seen it as a chore at an early age is the key priority, will find much in this softer, more balanced approach to inspire them. It is worth noting noting for parents that it is important in understanding KHDA reports to focus less on initial attainment scoring than progress. Progress scoring represents how far the school is able to take children from their starting points and improve their education. A low initial attainment score simply represents that children arrive at the school from a low starting point. What is important is how well a school takes that starting point and improves the flight path that would normally be expected. Safa is rated “Very Good” for child progress at primary phase, this indicative of its transforming the educational experience of children from low starting points of attainment to achieving above the baseline flight paths that would be expected to follow. The broader sense of community, and the links the school is building with parents to underpin the education of its children is another stand-out area of the school – and again an area in which Safa punches at the level of the Tier 1s in scoring an “Outstanding” rating from the KHDA. In all these areas it is clear that there is a transformation taking place under the new Head, Zara Harrington. Described by our Inspector as having “visionary ambition for children, professionalism and hugely inspiring compassion” Ms Harrington brings with her more than a decade’s global experience in education, latterly as Head of Primary at GEMS Wellington International School, Dubai. Tellingly, Ms Harrington’s daughter is educated at Safa British School – we often find Principal’s educating their children elsewhere which is very revealing. “the most remarkable turnaround of a school in just 12 months [with] a complete transformation in teaching and outcomes for pupils through her outstanding leadership, which she has embedded at all levels. Ms Harrington is an inspirational leader who gets the very best out of all the staff and pupils by modeling exactly what she expects with the result that pupils achieve well, often from low starting points and make rapid progress in all areas of learning, from the minute they start in the Nursery to ensure that no child is left behind. Provision in the Early Years Foundation Stage has been transformed under Ms Harrington. 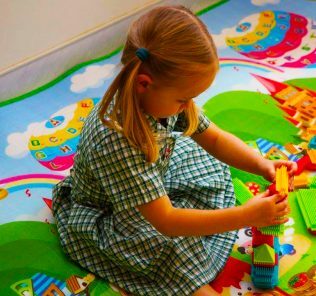 Teaching in the Nursery and Reception classes strikes just the right balance between formal instruction and structured play. Children quickly learn to make choices, but every activity has a specific purpose. 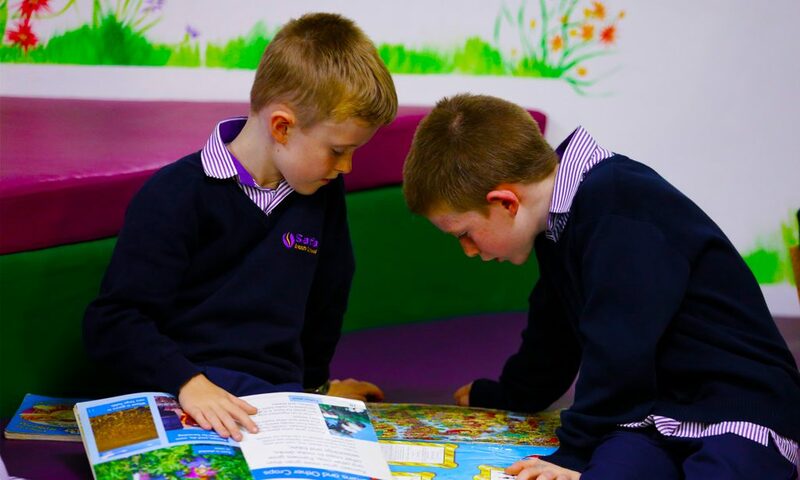 Indoor and outdoor areas provide stimulating resources to entice the children into learning, and adults skilfully guide children with timely guidance and clever questioning. Assessment and marking are exemplary. Teachers set work that is suitably difficult but also interesting, so that pupils are motivated and learn consistently well. Pupils like coming to school. They behave well and have positive attitudes to learning. Ms Harrington’s endless energy and uncompromising standards are the reason for the academy’s rapid transformation. Her success is rooted in the way that she models what she expects, and in the ‘can do’ approach that she instills. Staff work exceptionally hard to meet these expectations, and the quality of their classroom environments, lesson planning and marking are testament to this. Strong and effective leadership has been developed at all levels, including governance with a determination to secure the best possible outcomes for each child. Every step is taken to secure the pupils’ wellbeing and to ensure that every child has equal opportunity to thrive. Ofsted. The West Grantham Academy Inspection. 2013-14. 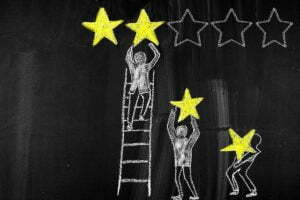 Inevitably a review can only give snapshot of a school, and even then, only at a moment in time. 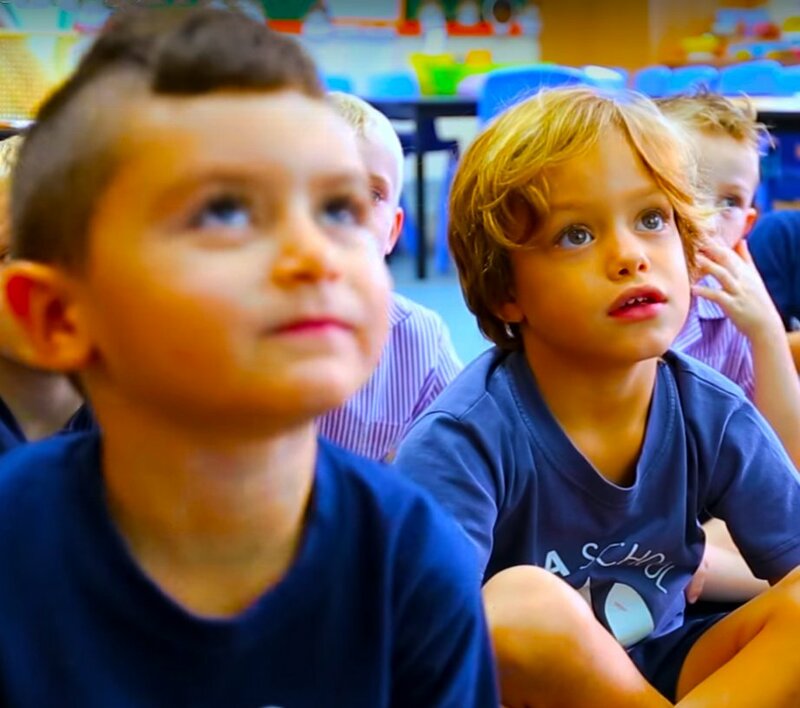 But we think that this is an exceptional school in the making in its child focus and the ways in which the new Head is seeking to inspire community within the school – and to building bridges with parents and the broader Arabic context outside. Ms Harrington brings with her an outstanding record of school leadership that mirrors our own, and that of our sister site WhichSchoolAdvisor.com, positive experience in meeting her in 2019. The word holistic, used often in an educational context, captures less well what is being achieved than the concept of the “whole child” because everything at Safa is now grounded in what is going to work best for children – and then making everything link back to that. The attention to detail, and human touch is everywhere to see. 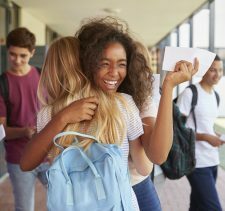 And the new innovations, whether in the classroom, corridors, relationships between teachers and students, or students themselves, and in the links to create community – may be incremental and small in isolation – but they add up to something, as a whole, much bigger, and, we feel, very special indeed. 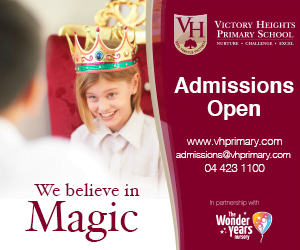 We think parents would do well to visit the school. Look beyond bells and whistles and we think there is much to discover and admire.